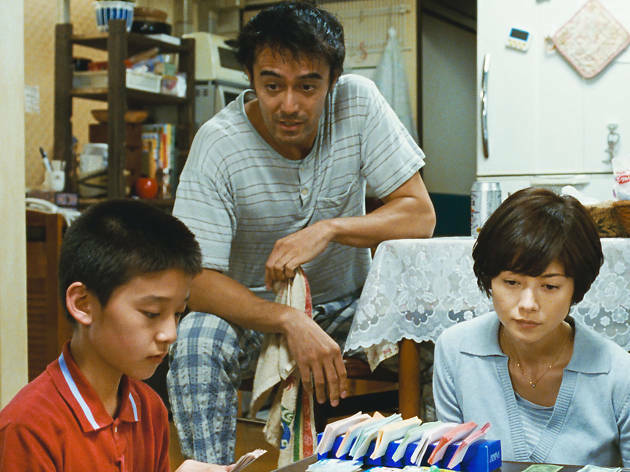 No modern filmmaker has as sure a grasp on family dynamics as Hirokazu Kore-eda. Watching the Japanese master’s recent films – ‘Still Walking’, ‘I Wish’, ‘Our Little Sister’ – is as emotional as leafing through an old photo album. The ornaments, rituals and dinner ingredients may be unfamiliar, but the joys, fears, hopes, conflicts, in-jokes, doubts, misgivings, understandings and moments of clarity are totally relatable. ‘After the Storm’ is a relatively low-key entry in the Koreeda canon, focusing almost entirely on two characters – feckless novelist-turned-detective Ryota (Hiroshi Abe) and his elderly mother Yoshiko (Kirin Kiki). Mother and son have both been feeling somewhat adrift, if relieved, following the death of the family’s overbearing paternal figure. Yoshiko is dealing with her own sense of mortality, while Ryota worries he’s turning into his dad – they both have a serious gambling problem, and neglect their kids. Not a great deal happens in ‘After the Storm’ – as the title implies, a typhoon passes through, and the family weathers it. But Kore-eda’s insight is so unflinching, his affection for his characters so intimate and sure, that not a moment here feels wasted.